Congratulations to Butler Catholic School 8th grader Jonathon Livermore on receiving the honor of being named a “Carson Scholar.” At the Carson Scholars Fund Pittsburgh Awards Banquet held at Heinz Field on Saturday, April 7th, Jonathon received a $1,000 scholarship to be used for college. He was also awarded with a medal for himself, and a trophy for Butler Catholic School to celebrate his accomplishment. He was one of 50 new scholars and 150 returning scholars to be awarded at the Pittsburgh Awards Banquet. Only 500 students across the United States receive the honor of being called a “Carson Scholar” each year. 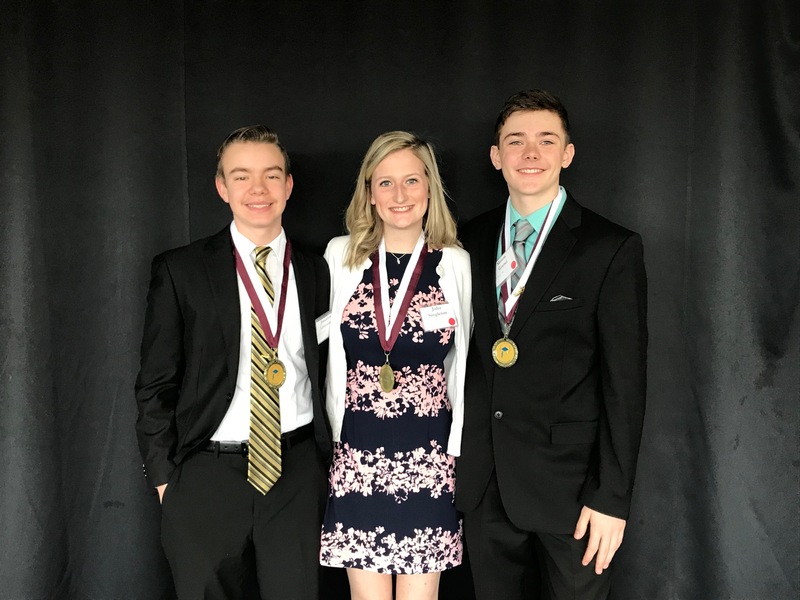 We would also like to congratulate two other Butler Catholic School alumni that were honored as Carson Scholars at the Pittsburgh Awards Banquet; returning Scholar, Mason Grenci, 2017 BCS graduate and Butler Area High School Freshman, and new Carson Scholar, Julia Singleton, 2015 BCS graduate and St. Joseph High School Junior. The Carson Scholars Fund awards $1,000 college scholarships to students in grades 4-11 who excel academically and are dedicated to serving their communities. Only one student from each school is able to be nominated, ensuring that each nominee epitomizes academic excellence. The Carson Scholars Fund was founded in 1994 by Dr. Ben Carson, and his wife, Candy. Since then, more than 7,800 scholarships have been awarded across the country to outstanding students.